40 minutes before before you want to eat – preheat oven to 400 degrees. Toss Brussels sprouts with olive oil and salt. Spread them on a baking sheet and place in the oven for 30 minutes, shaking the pan from time to time. While the sprouts are roasting, make the topping. Heat 1 Tb oil in a skillet, then add the Rice Krispies and cayenne. Cook over high heat until browned (about 30 seconds) stirring constantly. Remove from heat, season with salt, and set aside. Make the vinaigrette by combining all of the ingredients except the cilantro and mint in a bowl and stirring until the sugar is dissolved. At that point, add the cilantro and mint to the bowl and stir. 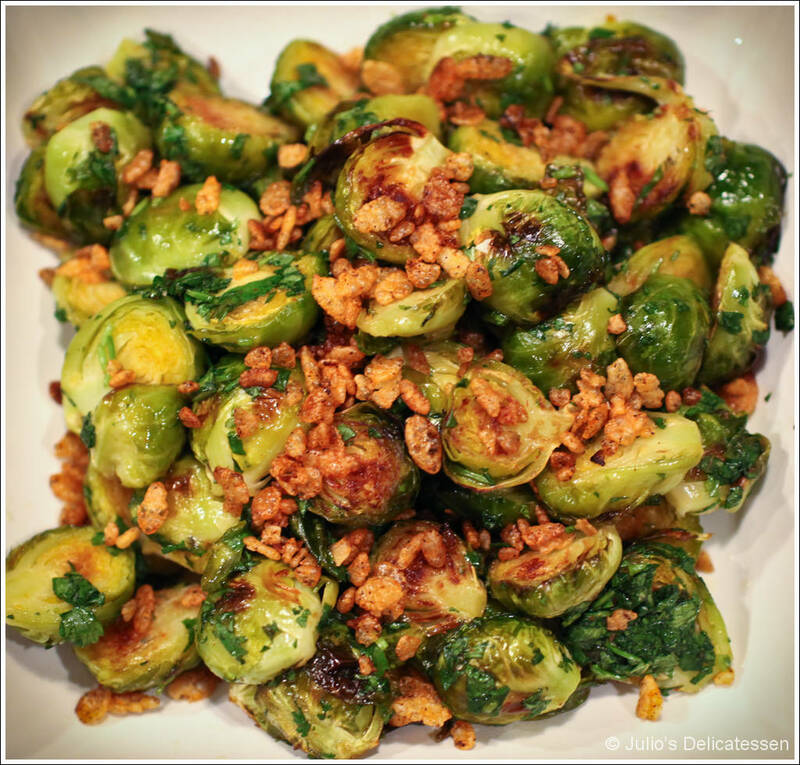 When the sprouts are done roasting, transfer to a large bowl and toss with the vinaigrette. Sprinkle the Spice Krispies on top and serve. Yes! Finally someone writes about juicing for cancer patie.